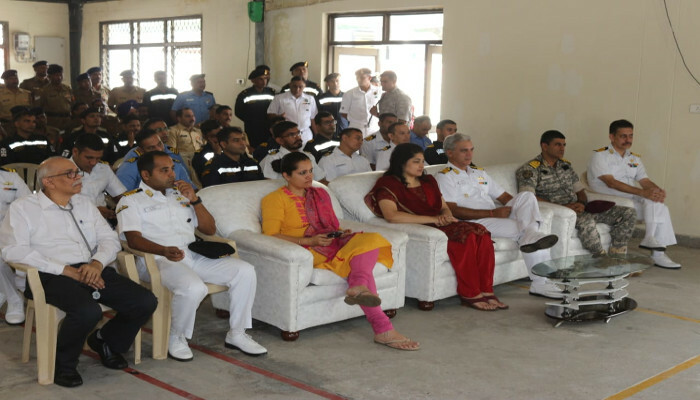 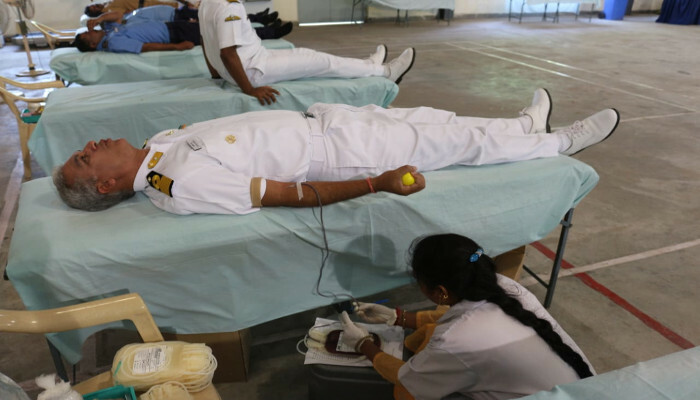 As part of Navy Day 2018 activities, a Blood Donation Camp was organised on 29 November 2018 at INS Kalinga. 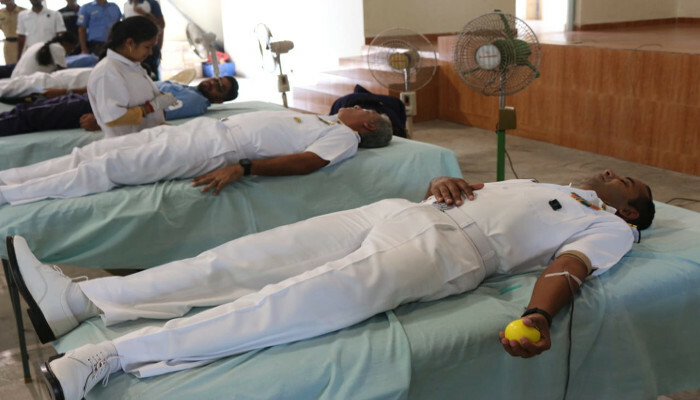 The camp was inaugurated the Commanding Officer as the first donor. 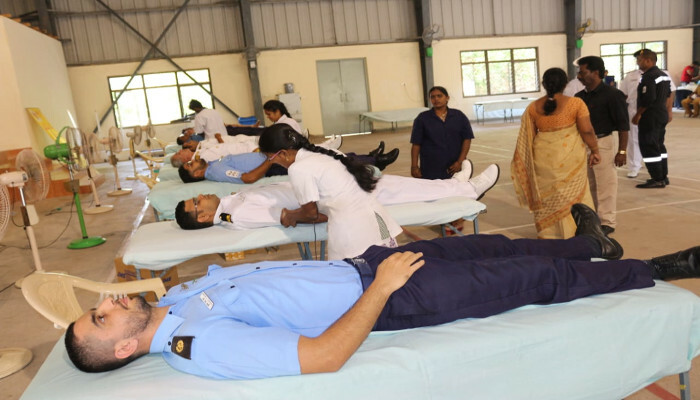 101 personnel from INS Kalinga and Karna and their families donated blood for a noble cause, which was handed over to NTR Aarogya Trust Blood Bank.